Citizens for Finishing Fastracks has been quiet for too long! We are back and ready to keep promoting the building of the Northwest rail line to Longmont with renewed energy and determination. Much has happened—however most of the news is not good. RTD keeps trying to find ways to NOT build the line, but if we persevere, the citizens and taxpayers will prevail. We need your help again. Only through your actions can we tell our story and insist that RTD keep their pledge to build rail through Westminster, Broomfield, and Boulder Counties. Longmont—on Wednesday, November 15, RTD will be at the Longmont Museum, 400 Quail Street, from 6–8pm to hold a meeting to obtain input from Longmont taxpayers on whether to build Bus Rapid Transit lanes (BRT) on the Diagonal Highway (SH 119) to Boulder. 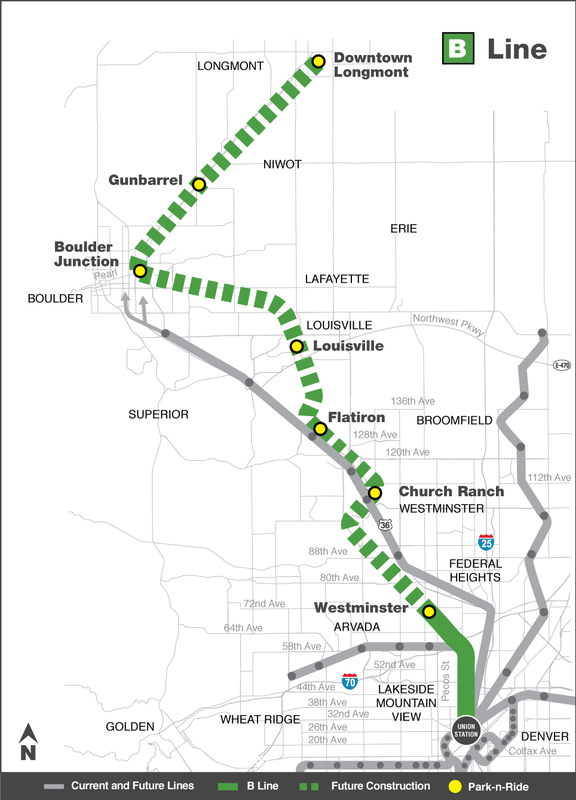 Boulder—on Thursday, November 16, RTD will be at the Boulder Chamber of Commerce, 2440 Pearl Street, from 6–8pm to also receive public comments about building a BRT to Longmont (like the one on US 36). If RTD proceeds with building the additional two BRT lanes for buses, HOV riders, and people willing to pay a toll to use these special lanes, we fear RTD will back away from their commitment to build the Northwest Rail line. RTD feels pressure to provide something for east Boulder County since we have been consistently reminding them that we are paying our sales tax for Fastracks. The RTD study of BRT is costing millions of dollars. To construct the 12 miles of BRT, it will likely cost over $250 million to build. (Based on the cost of the18 miles of BRT on US 36). Why don’t they use this money to put toward the building of the rail line???? Come to the meeting and voice your concern. Or if you cannot make it to the meeting, share your comments with RTD. Go to their 119 BRT website here, and tell them what you think. DON’T BE SILENT! SPEAK UP! Comments Off on We are BACK…and ready!